The Great Pyramid or Khufu’s Pyramid was built on the Giza Plateau (Egypt) during the IVth dynasty by the pharaoh Khufu (Cheops), who reigned from 2509 to 2483 BC1. Despite being one of the oldest and largest monuments on Earth, there is no consensus about how it was built2,3. To better understand its internal structure, we imaged the pyramid using muons, which are by-products of cosmic rays that are only partially absorbed by stone4–6. The resulting cosmic-ray muon radiography allows us to visualize the known and potentially unknown voids in the pyramid in a non-invasive way. Here we report the discovery of a large void (with a cross section similar to the Grand Gallery and a length of 30 m minimum) above the Grand Gallery, which constitutes the first major inner structure found in the Great Pyramid since the 19th century 1. This void, named ScanPyramids Big Void, was first observed with nuclear emulsion films7–9 installed in the Queen’s chamber (Nagoya University), then confirmed with scintillator hodoscopes10,11 set up in the same chamber (KEK) and re-confirmed with gas detectors12 outside of the pyramid (CEA). This large void has therefore been detected with a high confidence by three different muon detection technologies and three independent analyses. These results constitute a breakthrough for the understanding of Khufu’s Pyramid and its internal structure. While there is currently no information about the role of this void, these findings show how modern particle physics can shed new light on the world’s archaeological heritage. They'll never get in: It's where Doc keeps all those stereos. They found a big hole in the Great Pyramid? but then . 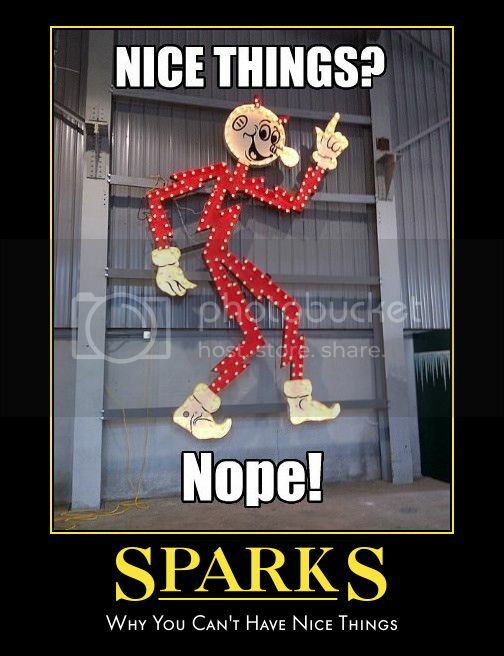 . . sparks . . .
What is some explorers find their way in and discover -- nothing. Because the "void" is a structurally sound way of saving on stone? Then it means that "the "void" is a structurally sound way of saving on stone". Nevertheless, someone's gotta take a look because SCIENCE!! sparks wrote: Nevertheless, someone's gotta take a look because SCIENCE!! Because it's a pyramid and therefore SPOOKY. Is there any way to access this void without dismantling the pyramid? And would they do that just to see if there's anything in there? Personally, I'm with Abdul on this one. It was probably just a shortcut to save a bit of effort and cost. More likely a construction error that was corrected later. It's where the grain is held, of course. More 'discoveries' or conjecture if you prefer, video below. Hidden rooms behind the King's chamber. (see the opening post) who came up with the internal ramp theory. That is brilliant. Just wish I could read the explanation bubbles... Anax? The giant scorpion is a particularly nice touch. sparks wrote: That is brilliant. Just wish I could read the explanation bubbles... Anax? Well, on the right it says: The secret pyramid base of diabolical scientist Dr. Who, King Kong's nemesis. Dr. Who is not the British one, but a villain from a Japanese kaiju movie called King Kong Escapes. Dr. Who subsequently goes to Mondo Island, abducts Kong and brings him back to his base at the North Pole. Kong is hypnotized by a flashing light device and fitted with a radio earpiece. Who commands Kong to retrieve the Element X from the cave. (Apparently, Kong understands English perfectly.) Problems with the earpiece ensue and Who has to kidnap Susan Watson, the only person who can control Kong. After Watson and her fellow officers are captured by Who, Madame Piranha unsuccessfully tries to seduce Nelson to bring him over to her side. Eventually Kong escapes and swims all the way to Japan where the climactic battle with Mechani-Kong transpires. Standing in for the Empire State Building from the original film is the Tokyo Tower where the two giants face off in the finale.